Every morning people spend lots of time to decide what to wear and how to enhance their beauty. Somehow, humans are more prone to understand the art of being beautiful, fashion and style. With a perfect blend of jewelry even normal attire would give rich look to an individual which ultimately helps that person to boost their self confidence. A simple cotton kurti worn along with a diamond ring on the finger or a chain with diamond pendant could actually enhance the overall beauty of that female. Females are known for their shopaholic nature. They just love to get dressed up beautifully with clothing that mark the latest fashion and also get decked up with one of the best piece of jewelry. Besides the glistening, mesmerizing gold jewelry, females also love the sparkling, shining, exquisite diamond jewelry which gives them a feeling of being special. For ages, diamonds have fascinated not only females but also males all over the world. Today most of the things have moved online, be it shopping for clothing or accessories. Jewelry shopping is no exception to this. 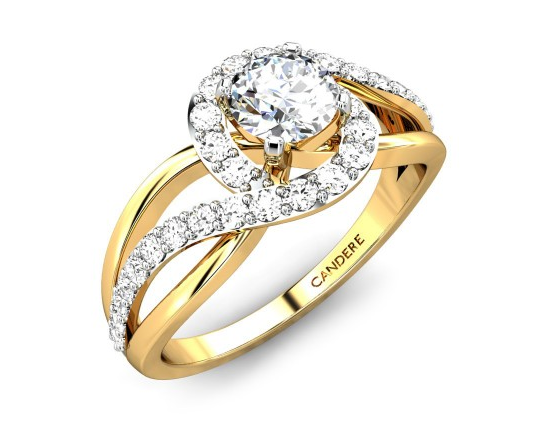 Candere is one such online jewelry store which offers a wide range of premium, hall marked, exclusive International designs in the categories like rings, earrings, nose pins, chains, pendants, bracelets etc. Candere.com website has been designed with simplicity and easy UI. The main page displays different categories of jewelry available on the top which can be further expanded into sub categories. For instance, if we consider the Jewelry Tab it can be expanded into types of rings, types of mangalsutra or diamond ring. etc. Further there is a search option tab which is also provided for faster search. 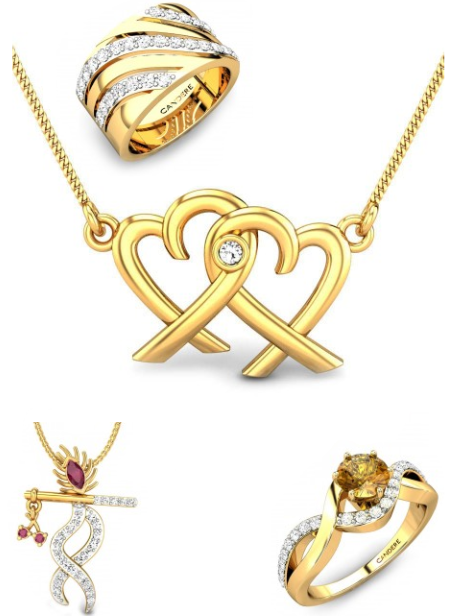 Current offers and discounts are also displayed clearly in the center of the main page along with the design of the jewelry, cost along with discount and the code number. On the left hand side, list of different jewelry items has been organized neatly into sub categories based on the type of stone, the total budget, jewelry for special occasion, color and number of stone and gender based division of the jewelry. Towards the extreme corner at the right hand side is a currency tab which needs to be chosen by buyer to indicate their choice of currency while making payment. Buyers need to register by signing in and then start the online shopping. On the other hand, buyers can also use their social networking sites like Facebook, Twitter, Yahoo or Google accounts to sign into the site. Due to its user friendly UI even older generation people can comfortably check and order for themselves independently. In case buyers want to shop at a short notice then Candere also has a provision of Express Delivery Tab wherein the chosen item will be shipped within 48 hours. Otherwise, normal shipping time is 7 to 14 days. Also all Candere products come with Insured free shipping, Jewelry Certifications and Lifetime exchange. Buyers can even opt for “made to order” which would be exclusively designed for the particular individual. Candere provides Jewelry certifications to prove 100% authentication of their jewelry and also life time exchange offers wherein buyers can exchange or upgrade their purchased jewelry. Candere's online jewellery store gives amazing customer service promises 30 day return service on goods provided within India in case buyer is not satisfied with the product . The shipping is free of cost for Indian customers. Further the products are all insured and available on easy EMI options. Candere accepts the payments through Credit card, Debit card, Net banking, Cash on Delivery hence overall it provides easy payment options. Last but not the least, Candere also provides its clients with a customer support 7 days a week from 9 AM to 9 PM besides buyers can also contact them via emails or online chatting and can be sure to get their doubts answered promptly. With awesome discounts and deals presented round the year on most of the gemstone and diamond jewelry Candere is one of the best online sites for jewelry shopping.